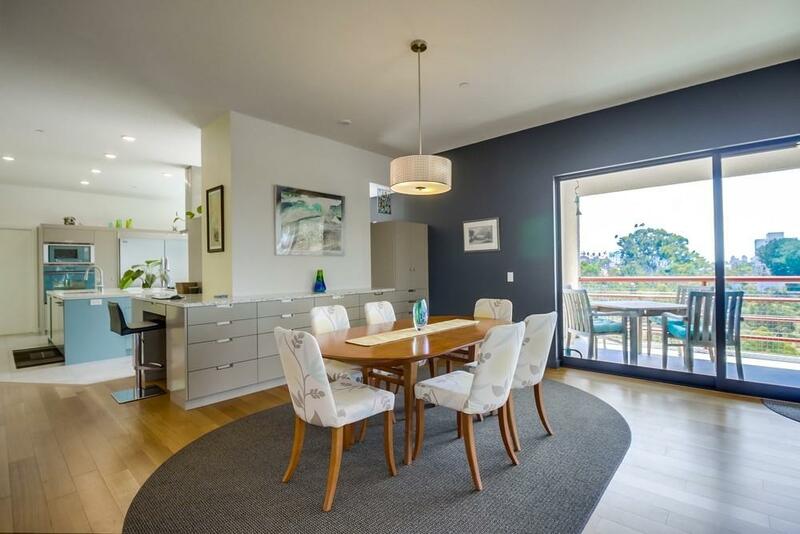 Stunning, contemporary PENTHOUSE unit, completely remodeled 2 br plus bonus room for office or hobbies/2 full ba situated atop historically preserved "Maple Canyon" in the highly desirable Bankers Hill community. Spectacular views of the bay, Point Loma, Downtown, and Maple Canyon. This single level unit lives large not only in space, but also in luxury. 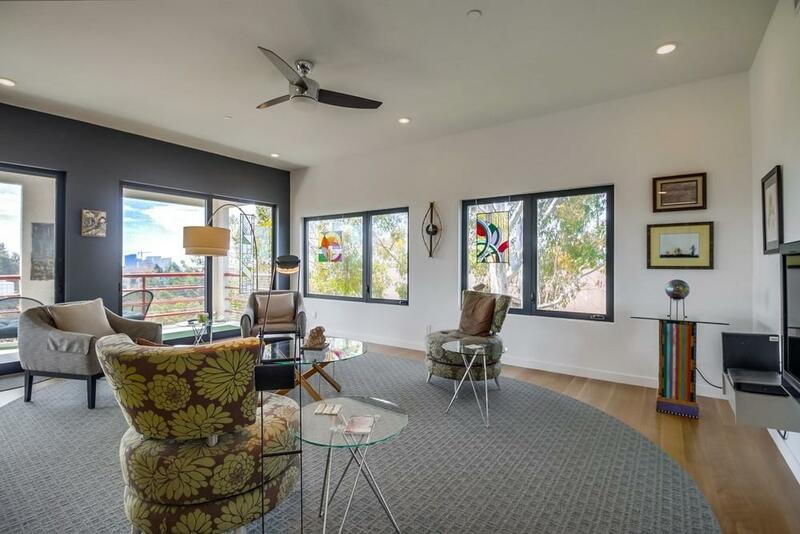 An expansive deck that flows from end to end of this unit provides the perfect outdoor space for enjoying the views and terrific San Diego weather. 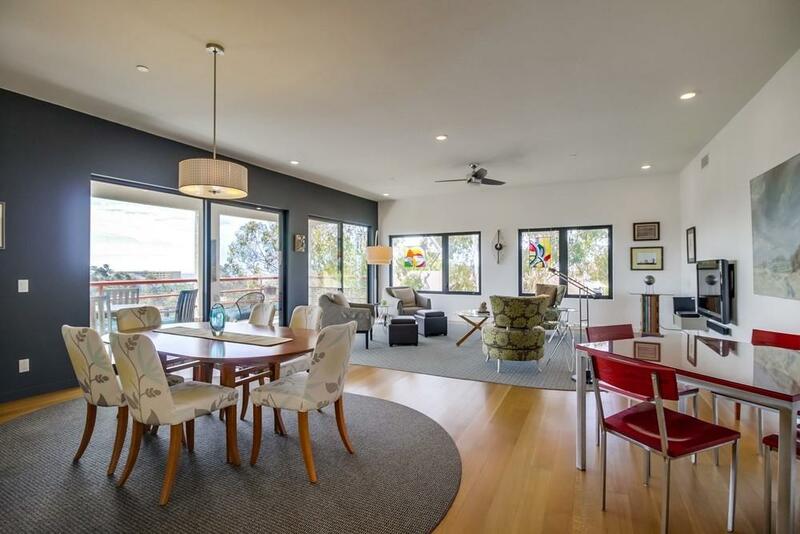 9 foot ceilings in most of the living space add to the expansive feel of the home. 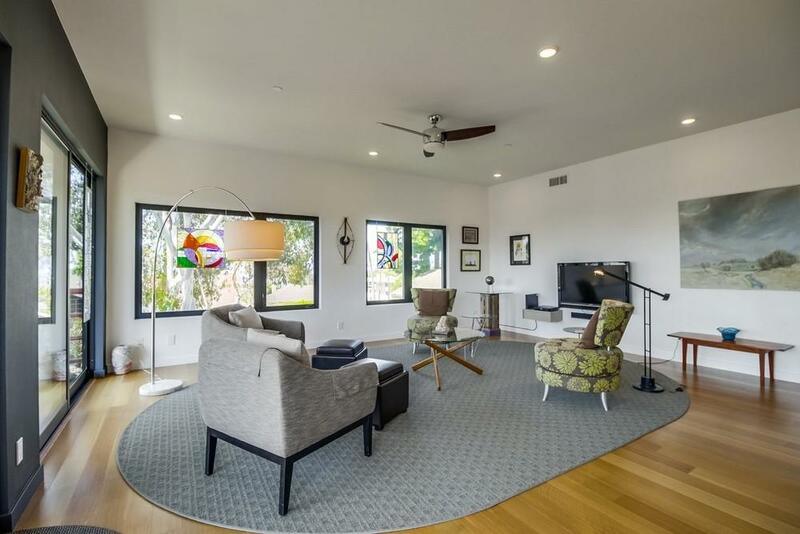 Windows facing south and west allow for an abundance of natural light to flow through. The unit was completely remodeled in 2017, including: reconfiguration of the laundry room, kitchen, pantry, bathrooms, entry to both bedrooms, and addition of a studio/office; completely rewired electrical, updated fire sprinklers, new heating and a/c (2 systems), new hardwood flooring, new cabinetry (extensive customized storage throughout), new quartz and recycled glass countertops, new stainless steel appliance (except for Dacor oven and microwave which are approximately 10 years old), full column Frigidaire refrigerator and freezer, Bosch dishwasher has optional silverware shelf, Dacor glass cooktop and Kitchenaid hood vet. All new plumbing fixtures, new exterior windows and interior & exterior doors, new balcony deck coating and flashing, new interior paint, new entry door weatherstripping, and interior front door skin to match all other custom doors, new lighting and ceiling fans, new solid surface shower surrounds. It's more than a home. It's a Lifestyle!